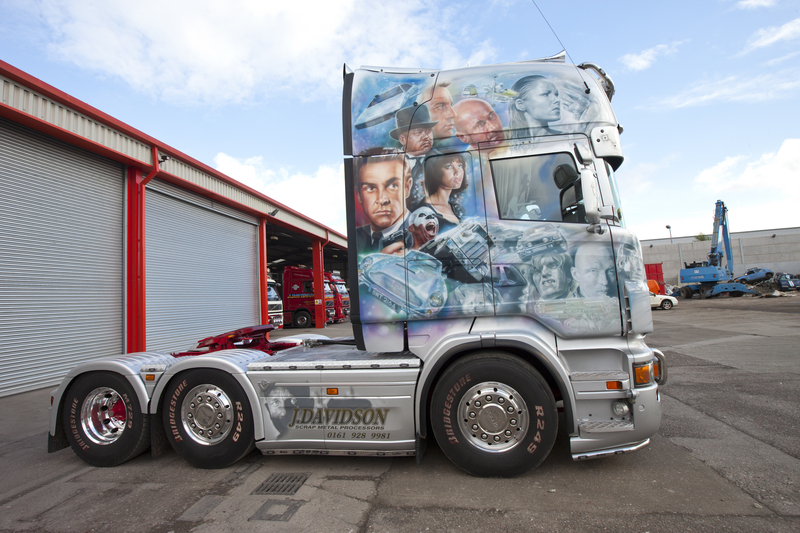 The J Davidson fleet is well known across the region – and if you’ve seen any of our trucks, it’s not hard to see why. We choose our designs very carefully, and we put a lot of time and effort (and a fair amount of our hard-earned cash) into making them look the best we can. Here are five of the best to look out for on the roads. The secret agent is famous the world over for his good taste in vehicles, but even he has never driven anything as eye-catching as our Scania 730. 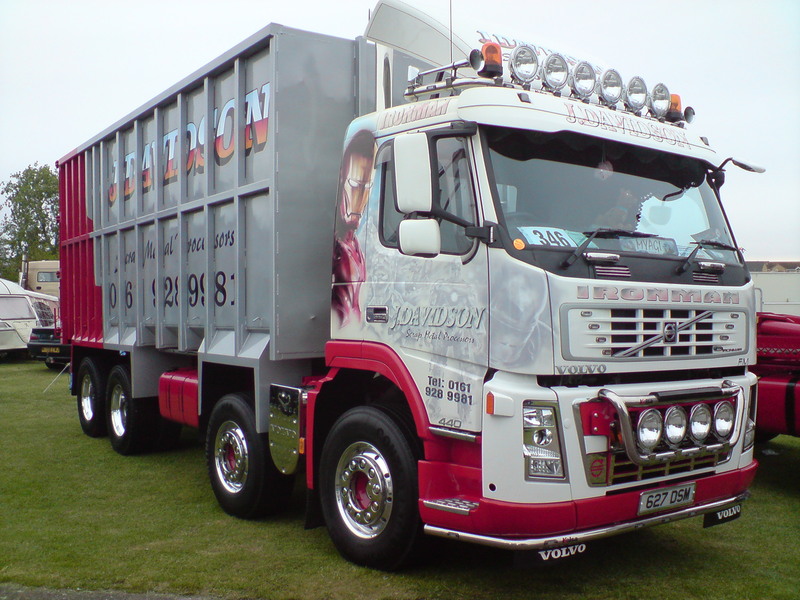 Our James Bond truck features characters and catchphrases from the film franchise, including 007 himself. It made headlines when it first hit the roads, and still appears on social networks any time we leave it parked up. We’re pretty pleased with our Iron Man truck, which proves that less is sometimes more when it comes to airbrushing a truck. From a distance, you could be forgiven for not noticing anything unusual about the red and silver livery on the sides of the truck. But look closer and a brooding red and gold figure is peering from the side of the cab, and you can find Robert Downey Jr and his superhero alter ego several times around the base of the trailer too. 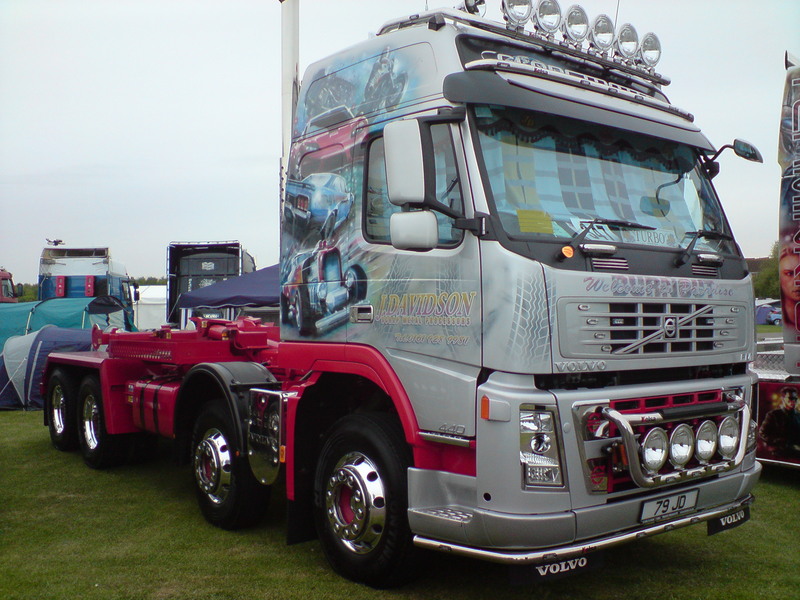 We love our movie-themed airbrushed trucks, but our Burnout Volvo FM is based on a videogame instead. The high-octane racing franchise seemed a natural fit for the raw power of an HGV, even if our vehicles don’t quite have the top speed you might reach in the game. 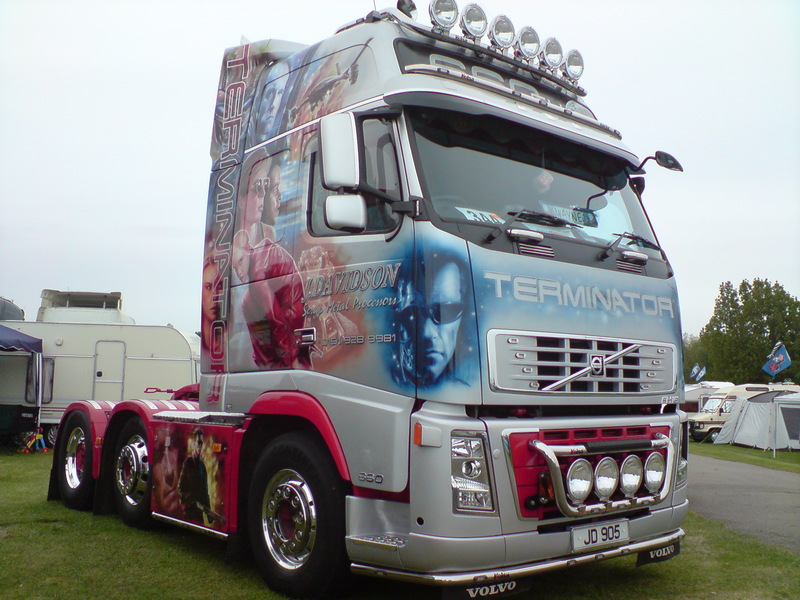 Last on our list has to be our truck dedicated to The Terminator, one of the meanest movie characters ever to take the wheel of an HGV. Our airbrushed Arnie tribute has him looking reasonably human, and stripped to the bare metal too – and we include the rest of the film franchise too. That includes Kristanna Loken as the T-X, and even though she totally trashed that truck when Arnie slammed her into the side of it, we can forgive her for a classic moment of HGV movie history. Yipee ki yay! 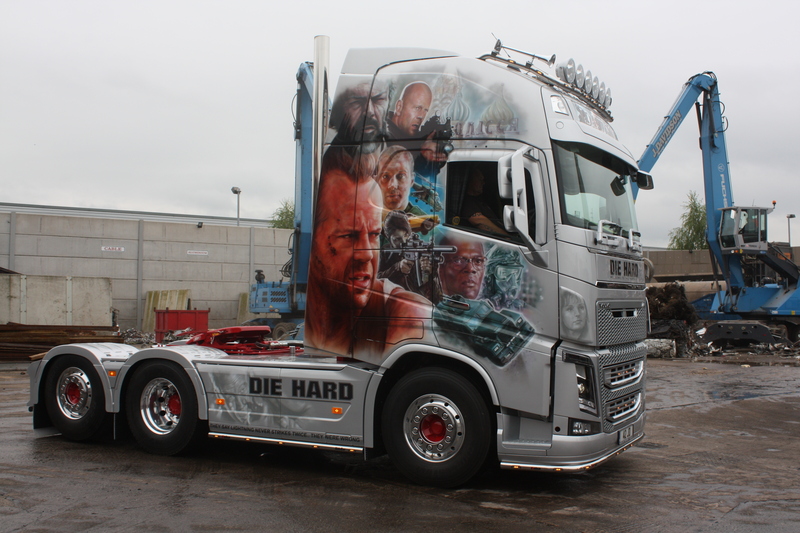 Our Die Hard Volvo FH16 750 is the latest addition to our airbrushed fleet, and features the ever-popular Bruce Willis as John McClane (not to be confused with Don McLean, who sang American Pie and isn’t on any of our trucks). We unveiled it in early May 2014 and can’t wait to take it on the road so you can all get a look at our latest work of art.